Vintage inspired but with a modern fit, these certainly are the real deal. 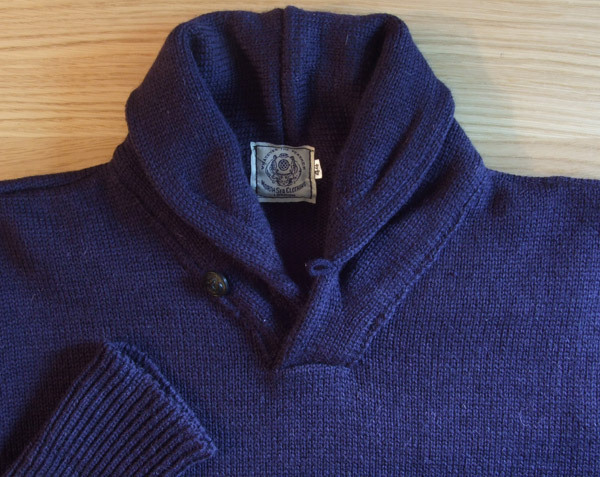 I’ve been wearing one of the Expedition shawl collar sweaters for a couple of weeks now and it has quickly become one of my favorite pieces with the cold wet weather that Seattle has been getting lately. 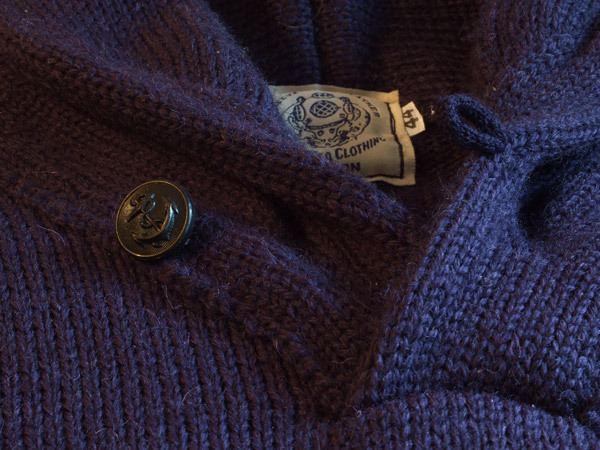 A closer view of the wool. It looks a bit rough, but I’ve found it to be pretty comfortable. 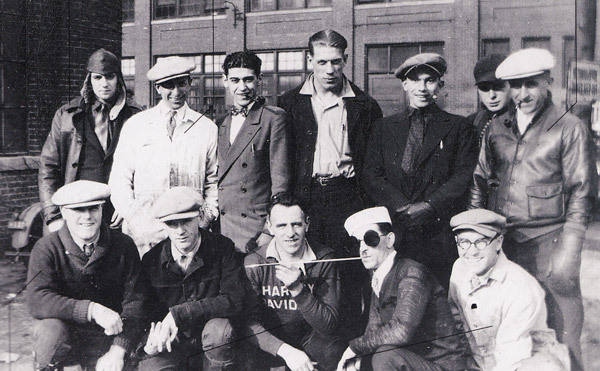 The shawl collar style was popular with motorcyclists going as far back as the early 1900’s and there are several great examples shown in Rin Tanaka’s Harley-Davidson book. 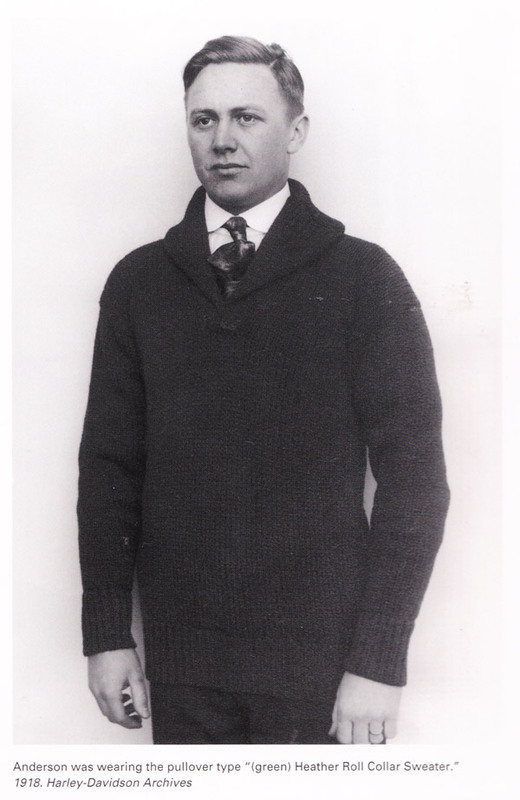 Described as a roll collar sweater from 1918. Below, another view with a man in the lower left corner wearing a “sweater coat”.